Find your state requirements & shop popular courses! What are my Chiropractic Continuing Education Requirements? We did the homework on the requirements you need for your chiropractic license renewal. Below, you will find a list of approved states in which we provide Chiropractic Continuing Education Courses. Simply select the state you are requiring Chiropractic CE for to view your Chiropractic Continuing Education Requirements. Getting Your Chiropractic Continuing Education Requirements on ChiroHrs.com is an easy process. Simply follow the steps below and you are on the way to getting those Chiropractic credits finished! Step 1 – Choose your state below. 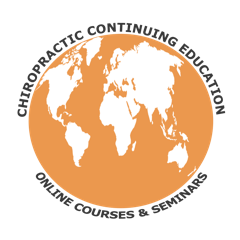 Review your Chiropractic Continuing Education Requirements & select a package or class you want to take. Step 2 – Add it to your cart and go to check out. Step 3 – At the check out, you will be automatically registered for the website with your own username and password. Step 4 – After Purchase, You will be re-directed to Your New Account, where you can Get Started on Your Courses! Step 5 – Once done with your course and quiz, save a copy of your certificate, print it, or mail it to your board if needed.